When the New York Jets‘ decision-makers conducted their strategy sessions ahead of NFL free agency, they never imagined C.J. Mosley would be available. They figured he’d re-sign with the Baltimore Ravens or get the franchise tag. After all, who lets a four-time Pro Bowl linebacker, three months shy of his 27th birthday, out of their clutches? It took a record-setting contract to land Mosley — crazy money, some league insiders will tell you — but the Jets felt compelled to do it because they’re determined to build a winning culture. Gase talked about it on Tuesday at the NFL owners meetings, saying he wants to fill the locker room with football-first players who put team and winning above themselves. “Dogs,” safety Jamal Adams calls them. The Jets identified Mosley as one of those dogs — a “culture-changer,” Gase said — and they defeated the Ravens in an intense bidding war. Gase is attempting to eradicate the losing mindset from the Jets’ locker room, and his first big move was to steal a piece of the Raven Way. This reminds me of 1998 when the Jets stole a young and talented Curtis Martin away from the New England Patriots with a huge contract. Former coach Bill Parcells took some heat for paying big money for a running back (not to mention first- and third-round picks as compensation to the Patriots), but I remember his rationale. In a perfect world, he told me, the highest-paid player on the team should also be the hardest-working player on the team. He knew Martin would be that guy, setting a tone for the rest of the locker room. And he was right. Martin, with help from some others, changed the culture. Prior to Mosley’s arrival, the Jets’ highest-paid player was cornerback Trumaine Johnson, the same guy who checked out mentally at the end of the season and was benched for the final game. Not to pick on Johnson, who maybe can change his ways under Gase, but he’s not the ideal role model. Mosley can be that guy. He’s not as vocal as Adams, but he’s a fiercely competitive player who plays hard, practices hard and does things the right way. Williamson will have to relinquish his middle-linebacker spot to Mosley — he will slide over to play the other inside spot — but that doesn’t seem to bother him. That should tell you something about the respect Mosley commands around the league. Unfortunately for the Jets, they had to pay way above the market price to make it happen. Mosley’s five-year, $85 million contract includes a $43 million guarantee, the largest in franchise history. It also includes guarantees in the third year, which is rare in non-quarterback contracts. 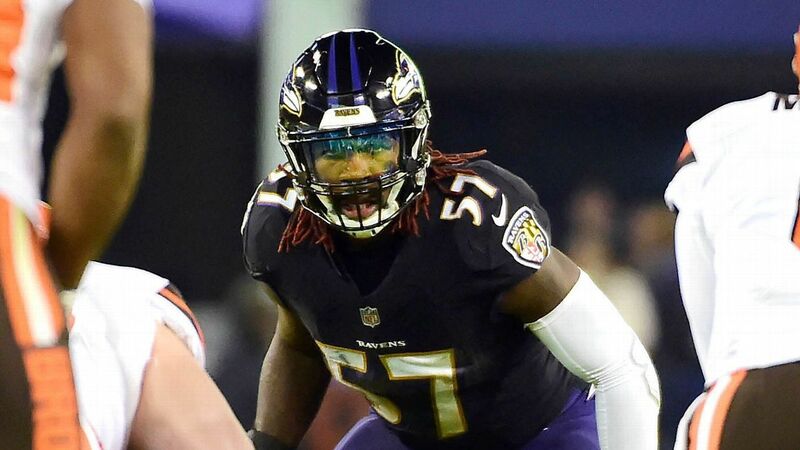 At $17 million per year, Mosley is the highest-paid inside linebacker in league history. The mark belonged to Luke Kuechly ($12.4 million), who was surpassed this month by Kwon Alexander ($13.5 million), and he was blown out of the water by Mosley. The Ravens reportedly went as high as $14 million per year before bowing out. Quite frankly, it’s an insane amount of money for a linebacker who doesn’t sack the quarterback and doesn’t excel in pass coverage. The Ravens never thought they would lose him, but there’s an old saying in free agency: It only takes one. The Jets were the one, a team flush with cap space and desperate to remove the stink of eight straight non-playoff seasons. Winning franchises such as the Ravens draft and develop their own culture-changers, from one generation to the next. The Jets have failed at that, so they have to buy them. And it ain’t cheap.